Just because you follow a plant-based diet doesn’t mean you can’t have some junk-food once in awhile. Likewise just because you’re craving some junk-food doesn’t mean you have to fill your stomach with trash. 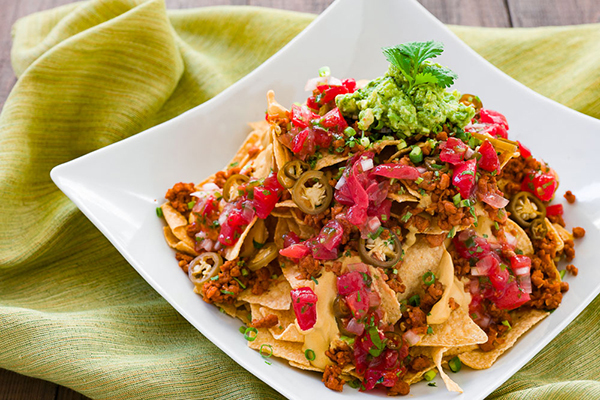 These festive, flavorful nachos will push all the right buttons when you want nothing more than to stuff your face with a plateful of nachos loaded with creamy cheese sauce, savory spicy meat and a colorful array of toppings. 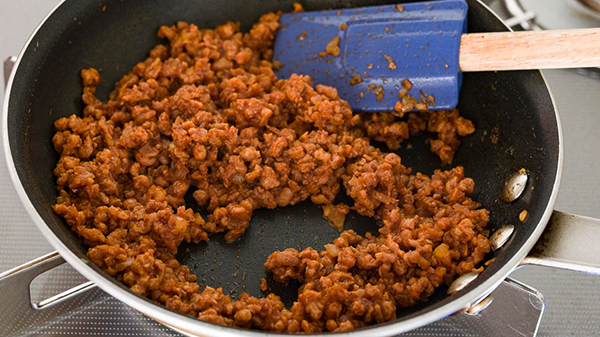 For the vegan meat, you can use your favorite meat analog, whether that be some homemade vegan meat, or a commercially available textured pea protein. The key here is to thoroughly caramelize your onions and garlic as this is where the meat gets its flavor from. For the chips, I used some standard fried organic corn chips, but if you’re counting calories you can certainly use baked ones instead. 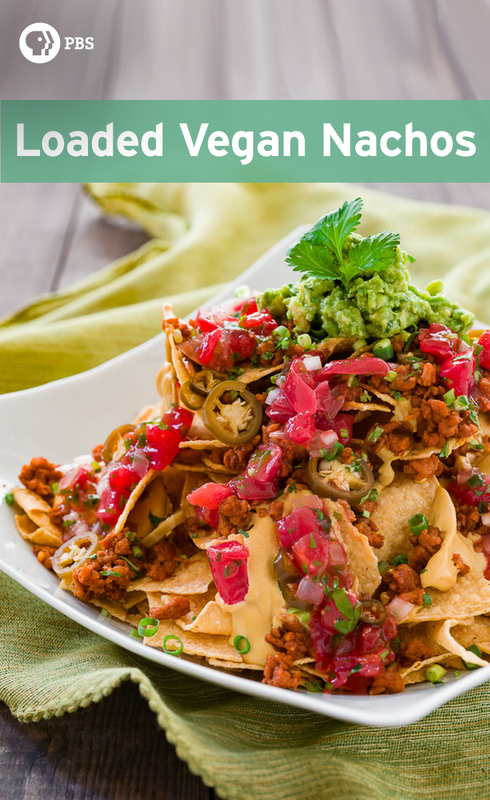 For the toppings you can either use a store bought dairy-free cheese sauce, pico de gallo and guacamole, or if you’re like me and want to make everything from scratch, you can get the recipes for my vegan nacho cheese sauce, pico de gallo and guacamole at the respective links. 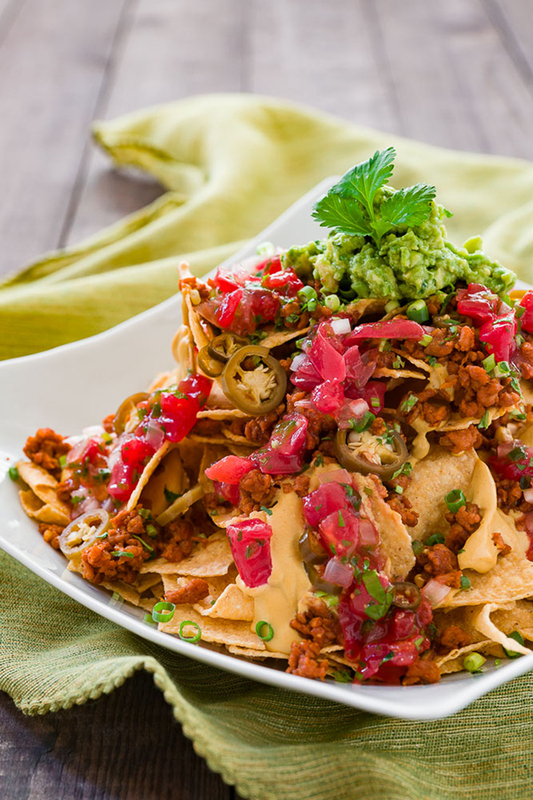 Because vegan cheese sauces tend to have a higher water content than their dairy-based counterparts, it’s important to eat this as soon as it’s put together, otherwise your chips will end up soggy. 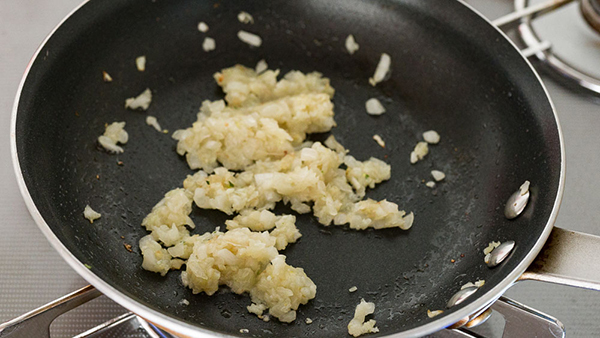 Put the vegetable oil, garlic and onions in a frying pan over medium-high heat. Fry the onions until golden brown and fragrant. Add the vegan meat and saute until the meat just starts to brown. Add the chili powder and saute until fragrant. Add and tomato juice and cook until all the liquid has evaporated. Heat the cheese sauce according to the package directions. 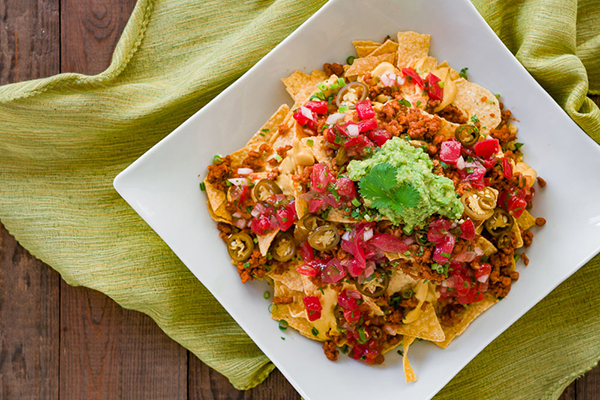 To assemble the nachos, put down a shallow mound of chips, drizzle with the cheese sauce and half the meat. Pile on some more chips and then top with more cheese sauce and the remaining meat. Finish with some pickled jalapeños, pico de gallo, guacamole and chopped scallions.